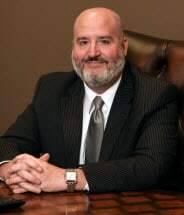 A lifelong resident of Rogers, Arkansas, Andrew H. Hatfield has practiced law in Benton and Washington County since becoming an attorney in 2002. Andrew concentrates his practice in the areas of personal injury, criminal law, civil litigation, and family law, as well as social security disability and workers compensation. Andrew was admitted to the Arkansas Bar on September 10, 2002. He received his Juris Doctor from the University of Arkansas School of Law on May 11, 2002 and graduated from Westminster College on May 8, 1999 with a Bachelor of Arts in Political Science and a minor in Leadership Studies.